President Trump's overseas business interests were being scrutinized in federal court today. A lawyer for nearly 200 congressional Democrats argued that the president is trying to secretly thwart the Constitution's Foreign Emoluments Clause. Now U.S. District Court Judge Emmet Sullivan is weighing in on whether lawmakers have legal grounds to sue the president. NPR's Peter Overby reports. 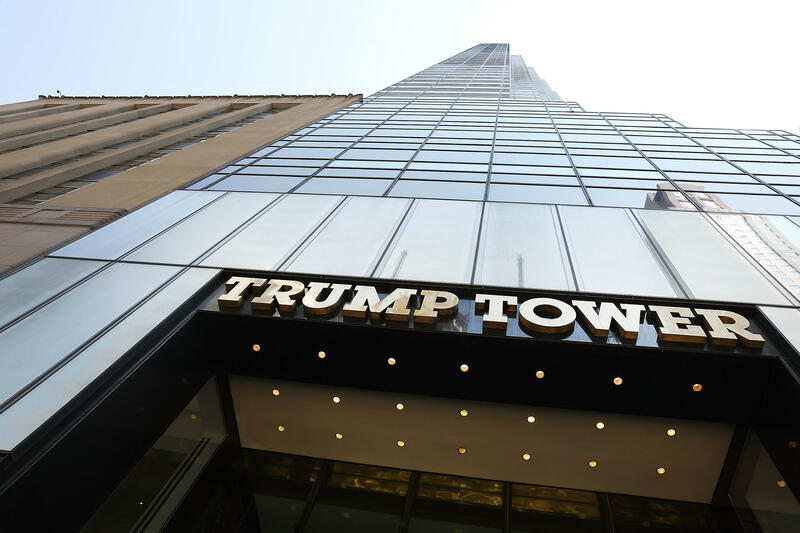 PETER OVERBY, BYLINE: This is the third of three emoluments lawsuits filed against President Trump since he took office. The plaintiffs in the other two focus on the president's hotels and restaurants and how they compete with other such businesses. This suit, though, aims at Trump's international enterprises and how his business interests might collide with America's foreign policy. RICHARD BLUMENTHAL: The permits and approval for Trump developments and resorts all around the world worth tens of millions, perhaps hundreds of millions of dollars. OVERBY: That was Senator Richard Blumenthal, a Connecticut Democrat and one of the leaders on the lawsuit. Another lawmaker, New York Congressman Jerrold Nadler, pointed at some recent deals in Asia. JERROLD NADLER: When the president suddenly shows a solicitude for the Chinese company ZTE, is that because Xi Jinping persuaded the president that to do so is in the best interest of the United States, or was that because the Chinese government granted intellectual property and trademarks to the president's companies or his family? OVERBY: The Emoluments Clause was put into the Constitution as a bar against foreign corruption, but it's never been tested. President Trump has said the clause doesn't apply to his businesses. The plaintiffs say it does. The Emoluments Clause requires a president to get the consent of Congress before accepting any emoluments. In the courtroom, Judge Sullivan kept coming back to whether the Democratic lawmakers had other means of enforcing the clause. The Democrats' lawyer was Brianne Gorod of the nonprofit Constitution Accountability Center (ph). She was speaking in an interview before today's arguments. BRIANNE GOROD: The president, since he took office, has been secretly accepting all manner of different foreign government benefits, and our plaintiffs have standing to challenge all of them. OVERBY: The Democrats say they've lost the right to vote on something they're supposed to vote on. Brett Shumate of the Justice Department, representing the president, said the Democrats have political remedies - that is, votes on legislation. There are two resolutions pending right now, Shumate said. Law professor Seth Barrett Tillman elaborated on the Democrats' problem in a Skype interview with NPR. SETH BARRETT TILLMAN: The fact of the matter is - is that they don't control the agenda in Congress. They're the minority party in both houses. It requires complete speculation to say they lost some sort of valuable voting right 'cause the president hasn't asked for consent. OVERBY: But Gorod told Judge Sullivan that another vote won't solve the problem. She said that if Congress has to vote to force compliance with the Emoluments Clause, then presidents will stop complying with it until Congress makes them. Judge Sullivan gave no indication of when he might rule on whether the lawmakers have standing to sue. Peter Overby, NPR News, Washington. Transcript provided by NPR, Copyright NPR.